I was in second grade when Martial Law was declared in the Philippines. Although my parents tried their best to shield me from some of the protests held prior to that declaration, going to school near Mendiola did not prevent me from witnessing rocks being hurled during some of the demonstrations. Martial Law lasted for about nine years. It was lifted by the time I finished high school. Most of my ten years of basic education were therefore under Martial Rule. In 1972, with the serious peace and order problem the country was facing, millions of young children were also found to be malnourished. 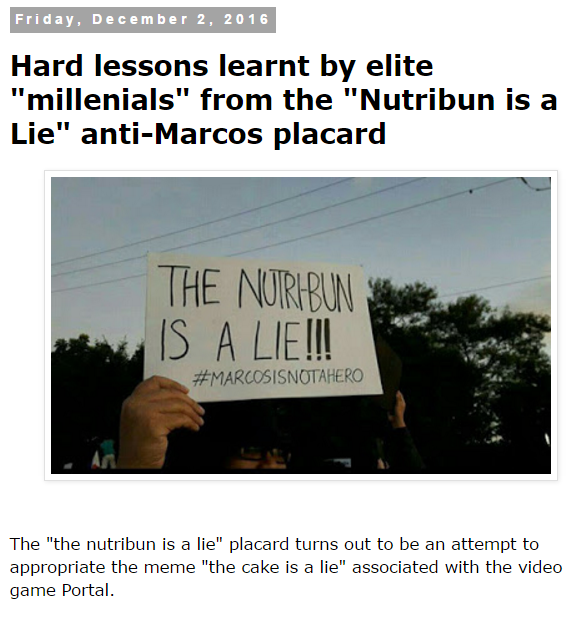 Marcos' government was already working with researchers from Virginia to address the food problem and during the floods that devastated Central Luzon, the Nutribun, a ready-to-eat complete meal proved to be a convenient relief commodity. Nutribun contained high quality protein from soy but it could not be easily hoarded due to its high propensity to become moldy in a few days. During Martial Law, Nutribun was adopted by public schools nationwide. Any child who was less than ninety percent of the standard weight for age was eligible to receive Nutribun. 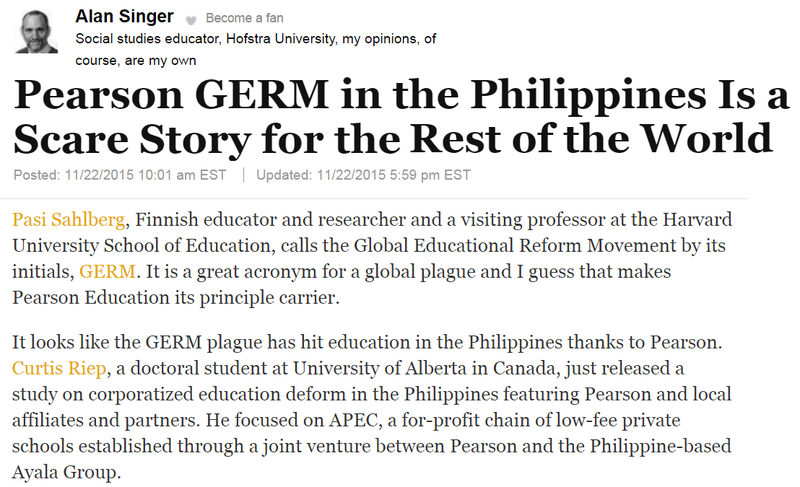 The program resulted in a dramatic reduction of malnourished children in the Philippines. The Nutribun was not a lie. Placards shown in recent protests against Marcos' burial that say otherwise are therefore the real lies. There were other reforms introduced to schools during Martial Law. In high school, there was a trial year or two to use Tagalog as medium of instruction for all subjects. That did not work. All throughout high school, I had to make sure that I had enough hours of volunteer work as part of the Youth Civic Action Program. Once in a while, we were also required to line up across Roxas Boulevard to greet visiting dignitaries. Those were the years of Martial Law that I remember. We could not hold demonstrations or protest events during that time. Presently, rallies are held almost every week in the Philippines. Unfortunately, most of the recent rallies concern burying the dead. This is sad as the country still confronts serious issues and problems in basic education. The previous regime instituted a new curriculum designed to make public education only worse. Alan Singer sounds this alarm in the Huffington Post.